The new short film, "Lina | لينا", by Palestinian filmmaker Osama Abed, tells the story of Palestinian student activist and former political prisoner Lina Khattab. The 11-minute film, in Arabic with English subtitles, covers Lina's arrest, abuse by occupation soldiers, Israeli military trial, struggle and her freedom, and her ongoing involvement in the struggle for the freedom of Palestine, its land and people. festivals in the region and has received awards for his filmmaking from several Palestinian municipalities; he is currently directing "Let Me Live". The occupation forces arrested on Sunday afternoon two females after leaving Al-Aqsa Mosque and the District and Magistrate judges extended the arrest of 13 Jerusalemites and released 3 others. Witnesses explained to Wadi Hilweh Information Center that the occupation police arrested two women immediately after they left Al-Aqsa Mosque on Sunday afternoon. On the other hand, Al-Dameer organization lawyer Mohammad Mahmoud explained that the Magistrate judge released Mohammad Naser, Mansour Naser and Munir Kamal with a 400-NIS bail, a third-party bail of 5 thousand NIS and deportation to the village of Hizma and house-arrest for 6 days for each. Lawyer Mahmoud added that the public prosecution submitted indictments against Wisam Castero, Ahmad Bakri and Mohammad Qirresh that included charges of “monitoring Beit Hanina Street, throwing Molotov Cocktails at an Israeli vehicle and injuring its passengers and throwing Molotov Cocktails at a settlement outpost in Beit Hanina”. Indictments were also submitted against Emad Bakri, Wahid Bakri and Mahdi Syaj and included charges of throwing Molotov Cocktails at a settlement outpost in Beit Hanina. Lawyer Mahmoud explained that the judge extended their arrest until 30/8/2015 to challenge the evidence. Lawyer Mahmoud added that the Magistrate judge decided to release the 18-year old Mohammad Shallodi on condition of house-arrest for 5 days, a 1500-NIS bail and a third-party bail of 5 thousand NIS but the police appealed the decision at the District court. Wadi Hilweh Information Center’s lawyer explained that a session to discuss the case of the child Ala’ Alqaq was held on Sunday and the judge extended his arrest. The lawyer also added that the Magistrate judge decided to release the children Laith Mohammad Abed Rabbo and Khalil Abdo on condition of house-arrest for 5 days, a 1500-NIS bail and a third-party bail of 5 thousand NIS but the police appealed the decision at the District court. The center was informed that the public prosecution submitted indictments against Nour Eddin Castero, Mohammad Bebars and Basel Qutob that included charges of throwing Molotov Cocktails at a settlement outpost in Beit Hanina and the judge extended their arrest until 30/8/2015. A Palestinian prisoner's hunger strike has sparked new calls for Israel to curb its use of administrative detention under which prisoners may be held without trial indefinitely. 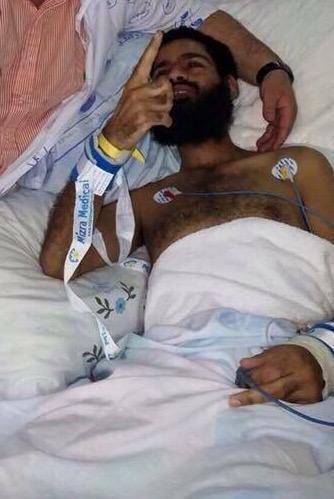 Mohammed Allan, 31, ended his 66-day hunger strike on Thursday after Israel's top court suspended his administrative detention. He entered a coma twice before the hunger strike was through. The lawyer, who Israel claimed was a member of the militant group Islamic Jihad, had been held since November and has reportedly vowed to resume fasting if the courts reinstate administrative detention against him. The measure allows internment without trial for six-month intervals that can be renewed indefinitely. Israeli officials claim it is an essential tool in preventing attacks and protecting sensitive intelligence because it allows authorities to keep evidence secret. However, it has been strongly criticised by the international community as well as both Israeli and Palestinian rights activists.They say that international law allows for such detention only under extreme circumstances, but that Israel uses it as a punitive measure on a routine basis to circumvent the justice system or as a crutch to avoid trial. Activists have called on Israeli authorities to charge or release those held under administrative detention. "Our research into the way Israel uses administrative detention vis-a-vis Palestinians concludes that Israel violates this very narrow allowance and uses it in a very wide, extensive way," said Sarit Michaeli, spokeswoman for Israeli rights group B'Tselem. This is "unacceptable legally and morally", she said. According to B'Tselem, some 370 Palestinians are currently being held in administrative detention, compared to three suspected Jewish extremists. The Jewish suspects were detained following international outcry over the July 31 firebombing of a Palestinian family home that killed an 18-month-old toddler and his father. Rights groups have also criticised those moves, pressing authorities to follow due process. Israeli officials did not respond to request for comment on Sunday, but Defence Minister Moshe Yaalon last week defended the practice. "Administrative detention of an Arab or a Jew is a Draconian step, but when there is no choice, you need to protect yourself," he said. "One needs to be very, very careful, but I have no doubt that we have put the right people into administrative detention." Administrative detention dates back to British-mandated Palestine, though Israeli military law is used almost exclusively for cases involving Palestinians in the occupied West Bank. The degree of its use has varied, with the number of detainees skyrocketing during the First and Second Intifadas, or Palestinian uprisings. Detainees have been held for between six months and several years. Many Palestinians have gone on hunger strike to protest the policy, though few have continued as long as Allan's. In July, another Palestinian prisoner, Khader Adnan, was released after a 56-day hunger strike to protest his administrative detention that brought him close to death. It was the second time Adnan had gone on hunger strike against the policy, after a 66-day hunger strike in 2012 that also led to his release. Detainees are allowed to appeal to the courts, but activists say the chances of having their detainment overturned are extremely slim. A recent example cited by rights groups is the case of Khalida Jarrar, a Palestinian legislator first held under administrative detention before later being charged in military court after international outcry. While the 12 charges against her have been criticised as well, rights groups have raised the question as to why administrative detention was necessary at all. In the case of Allan, it is not possible to know details of the accusations against him. Last week, Israeli security forces issued a statement saying he was arrested in November due to alleged contacts with an Islamic Jihad "terrorist" with the aim of carrying out large-scale attacks. He was also detained between 2006-2009 for allegedly seeking to recruit suicide bombers and providing assistance to wanted Palestinians, the statement said, although it offered no evidence to support any of the allegations. His lawyer said he was never informed of the recent allegations against him, and his friends describe him as religious, but not radical. They have also said that's Allan's main focus was his career as a lawyer, although they noted that he may have drawn attention to himself by defending Hamas and Islamic Jihad members detained by Palestinian Authority forces. Allan's hunger strike sparked debate among Israelis as well, with some arguing that he should have been force-fed under a law passed last month allowing for the practice. Far-right Agriculture Minister Uri Ariel was among those who argued for force-feeding but he, too, said administrative detention was being overused, saying that the measure should only be employed in cases of "ticking bombs." Israeli forces, Sunday, abducted two Palestinian ex-detainees from the Hebron area, as well as summoned three other Palestinians to appear before the Israeli intelligence, according to reports by local and security sources. Coordinator of popular committee against the wall and settlements, Mohammed Awad, told WAFA that forces stormed two areas to the northwest of the town of Beit Ummar, south of Hebron, taking with them two ex-detainees after raiding and searching their homes. They were identified as Yousif, 21, and Mahmoud Brighith, 23. The detentiuo of the aforementioned freed youths brings the total number of Palestinians detained from the Hebron area, since the beginning of August, to 21 people. 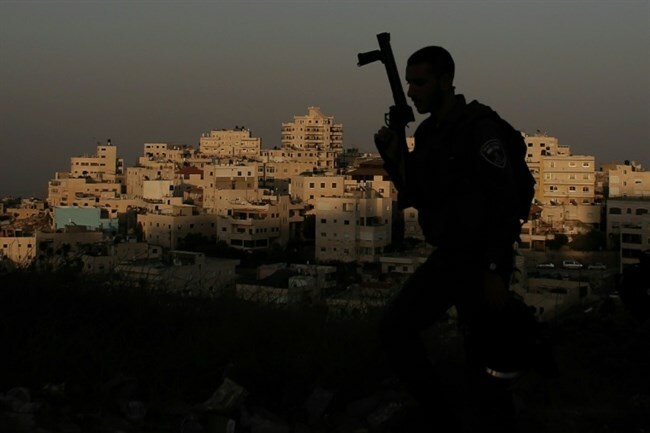 The committee’s coordinator said that clashes erupted between forces and Palestinian locals; forces fired live ammunition in the air and tear gas canisters toward residents homes, however, no injuries or further abductions were reported. Meanwhile, in the Bethlehem area, forces raided and searched three homes before handing three Palestinian locals notices ordering to appear for interrogation before the Israeli intelligence. They were identified as Abd al-Kareem As-Shaikh, 23, Jamal Hmaid, and Mohammed al-Bdn. Israeli forces barred 15 Palestinian women from entering the Aqsa Mosque as groups of Jewish settlers stormed the holy Islamic site under the protection of Israeli police on Sunday. Meanwhile, Israeli policemen confiscated IDs of worshipers at the various gates of the holy site and arrested a girl at al-Silsilah gate. A Jerusalemite woman called Hanadi al-Halawani revealed that she tried to enter the Mosque from all of the gates, but policemen barred her claiming it was by an order of the Israeli security officer at the Aqsa Mosque. She said the policemen threatened to arrest her in case she exceeded the military barriers at the gates. A group of about 30 Jewish settlers broke into the holy al-Aqsa Mosque under tightened security measures of Israeli forces on Sunday morning. They were confronted by worshipers. Israeli forces summoned Special Forces to chase Jerusalemite women at al-Rahmah gate. Tension, accordingly, ran high in the vicinity of the Mosque amid a state of high alert prevailing. For his part, MP Ahmad Attoun called for intensifying the Palestinian presence at the Aqsa Mosque, saying the battle now is a battle of existence. The deputy on Hamas in Occupied Jerusalem Attoun said, in a statement, all Palestinians in the West Bank and Gaza Strip are asked to support the steadfastness of the Jerusalemite people by all means. He stressed the need for activating resistance against the Israeli forces. He said two days ago marked the memorial of the Israeli crime of burning the Aqsa Mosque committed in 1969 at the hand of the Jewish fanatic Michael Dennis. Attoun underlined that Jerusalem is being burned and Judaized every day at the hands of Jewish settlers with the support and protection of the Israeli government as well as the police. He urged the Palestinians to intensify their presence at the Aqsa Mosque and to defend Occupied Jerusalem in face of such repeated violations. Israeli Occupation Forces (IOF) summoned the Palestinian MP Hatim Qafishe along with his ex-detainee son, Anas, on Sunday. The MP Qafishe, deputy on Hamas in the Palestinian Legislative Council, told the PIC reporter that an Israeli officer called his ex-detainee son Anas, 21, and told him to go to Gosh Etzion investigation center with his father on Sunday morning for questioning for undisclosed reasons. 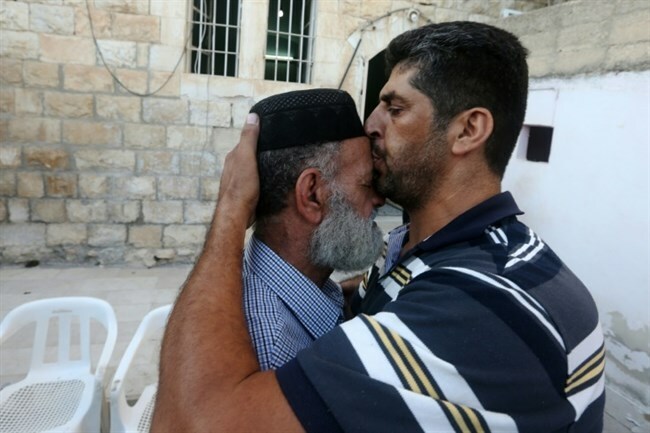 The father revealed that his son Anas was released from Israeli jails just two weeks ago after he had spent ten months of imprisonment. Anas said the IOF soldiers stormed, at dawn Sunday, Wadi Heryeh in southern al-Khalil and handed two summonses to him and his father to attend an investigation interview with the Israeli intelligence officer in Etzion center on Sunday. The Palestinian deputy Qafishe said it was the second time that he was summoned by Israelis after his last release from Israeli jails in March. He pointed out that he had received several phone calls from Israeli intelligence officers for threatening and harassment purposes. The Israeli occupation forces (IOF) at dawn Sunday kidnapped two Palestinian youngsters during clashes that rocked Beit Ummar, in the southern West Bank. 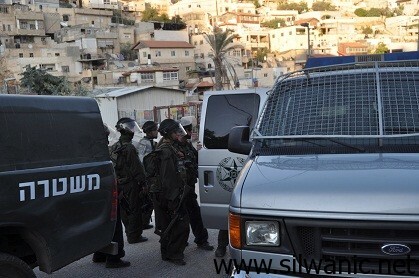 Spokesperson for the popular anti-settlement committee Mohamed Awad said the IOF rolled into Beit Ummar and wreaked havoc on Palestinian homes shortly before they nabbed two ex-prisoners and dragged them, handcuffed, to the Gush Etzion camp. 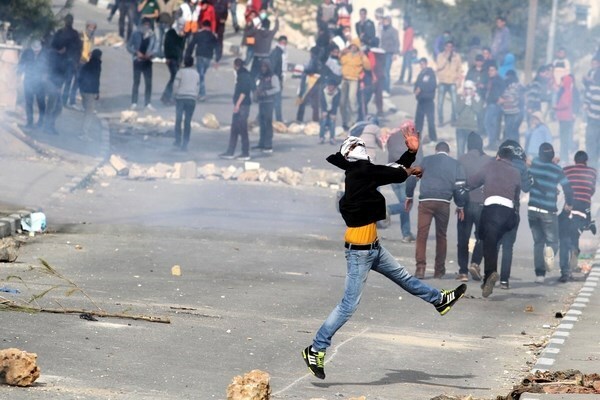 Awad added that clashes flared up in the area after the IOF troops attacked the unarmed Palestinian protesters with random spates of tear gas canisters and stun grenades. 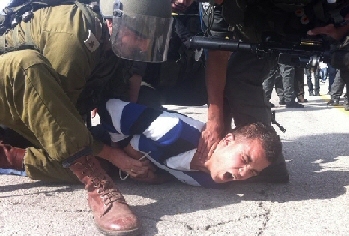 At least 16 Palestinians were detained by the IOF since the start of August. 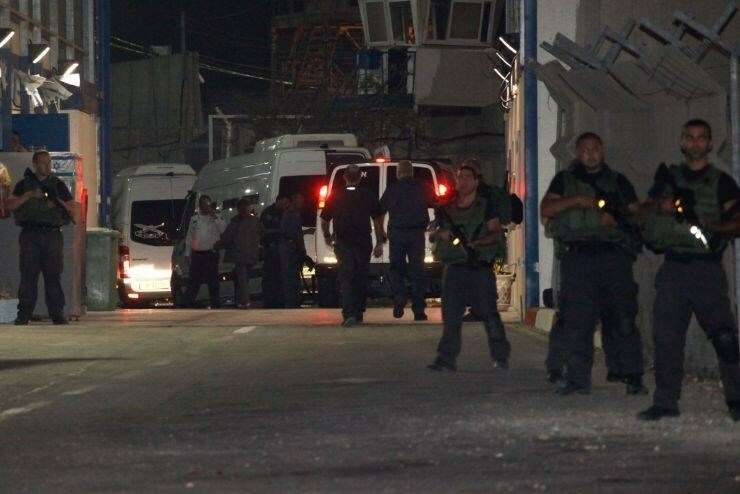 Meanwhile, a series of checkpoints was randomly pitched by the IOF overnight Saturday in southern al-Khalil, where the occupation soldiers have come down heavily on Palestinian civilians and held others in custody. The IOF were heavily deployed at the Abu Rish checkpoint, near the Ibrahimi Mosque, where Palestinians’ IDs were meticulously inspected under the pretext that an occupation soldier was hit by a Molotov cocktail. The Israeli troops reportedly raked through residential quarters and alleys. A Palestinian citizen sustained a heart attack after he was detained for long and exhaustive hours during the raid. The number of Palestinian women detained in Hasharon jail has risen recently to 25 prisoners, according to a new report by the Palestinian Authority (PA) commission on prisoners' affairs. The commission added that several female prisoners suffer from different health problems and do not receive proper medical care like Lina al-Jarbouni, Fathia Khanfar, Duniya Waked, and Amal al-Saadi. It accused Israel of persisting in violating the international law regarding the Palestinian female detainees in its jails, especially the fourth Geneva convention. Palestinian prisoner Fathiyeh Abd al-Fattah Khanfar, 61, is currently being held in solitary confinement in Israeli jail, the lawyer of a prisoners' committee said Saturday. Khanfar, from the village of Silat al-Thahr in Jenin in the occupied West Bank, is being held in a "tomb-like" room in unbearable living conditions, lawyer Hanan al-Khatib of the Prisoners and Former Prisoners' Committee told Ma'an. Al-Khatib visited Khanfar in the Al-Ramla jail and said she is suffering from foot and back pain and infection in her trachea. The detainee reported to al-Khatib that the room she is being held in lacks electrical appliances and is infested with cockroaches. She said she sleeps on a thin mattress on top of the concrete and is prevented from receiving visits or contacting her family. Khanfar added that she needs to request water from the prison personnel as prisoners held in solitary confinement don't have access to water or restrooms except by permission. Solitary confinement is one of several practices enforced routinely inside of Israeli prisons, according to prisoners' rights group Addameer, in addition to torture, forcible transfers, and medical negligence. 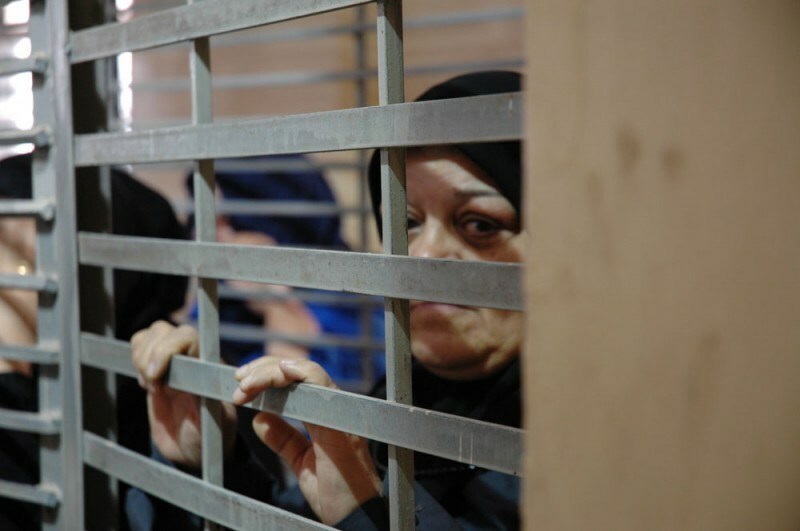 Khanfar, mother of seven, was held for 18 days and sentenced to 11 months in jail in 2013 for allegedly attempting to deliver a SIM card to her son inside jail. She was eventually kept under house arrest for nine months with a sponsor in the city of Rahat in southern Israel, and handed a fine of 30,000 shekels ($7,856). 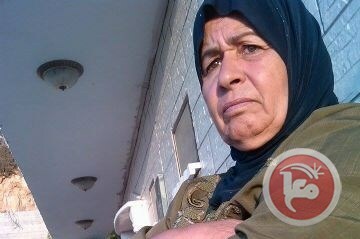 Khanfar and her son Rami Khanfar are two of nearly 6,000 Palestinians currently being held in Israeli jails, 24 of which are women. 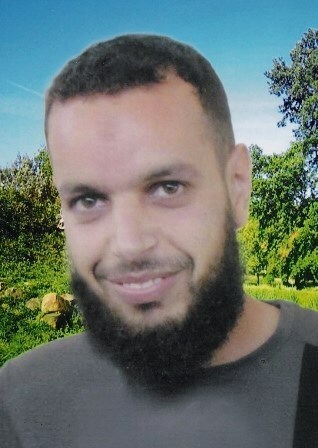 Muhjat al-Quds Foundation for Martyrs and Prisoners affirmed on Friday that the Israeli Prison Service (IPS) has transferred prisoner Iyas Abd Hamdan al-Rifai, 32, from Eshel prison to Soroka Hospital in Beersheba south of the 1948 occupied Palestine. Al-Rifai felt a severe pain in his abdomen and after long stalling by the IPS he was checked by the doctor of Eshel prison who decided to transfer him to Soroka Hospital immediately. Due to the IPS deliberate medical neglect policy, al-Rifai is suffering from Hepatitis C virus, bleeding in the intestines, in addition to constant dizziness and headache and his health status is ranked as one of the most serious medical conditions in the Israeli jails, according to Muhjat al-Quds Foundation. On 27 December, 2014, Iyas was hit by a severe pain and he was transferred to Soroka Hospital. The medical check-ups showed that he needed an appendectomy operation, however; he stayed in the hospital for one week only. Depriving the sick captive from receiving the badly needed treatment led to serious health complications and he lost more than 30 kilograms in two months. Iyas was then diagnosed with Crohn's disease which is a chronic inflammation of the intestines that causes a secretion of toxic substances causing acute inflammation all over the body. The chronic disease is threatening Iyas's life, the foundation said. Muhjat al-Quds Foundation called on local and international human rights organizations and institutions concerned with prisoners' affairs to urgently intervene to pressure Israel; so as to save the lives of the sick detainees and help them restore their legitimate rights of freedom and treatment. Iyas Abd Hamdan al-Rifai, from Kufr Ein Village in Ramallah, was arrested by the Israeli Occupation Forces (IOF) on 14 August, 2006 on charges of affiliation with the Islamic Jihad Movement and carrying out attacks against Israel. He was first sentenced to eight years imprisonment but the Israeli prosecution filed an appeal to extend his sentence to eleven years. He has been held in solitary confinement for different periods and he was deprived of family visits. The Israeli Prison Service (IPS) has decided to transfer six Palestinian hunger-striking detainees to solitary confinement. Sources from the Captive Movement in Negev prison said that the detainees were moved to isolation cells for staging an open hunger strike to protest against renewing their administrative detention. They clarified that the prison administration on Friday notified the six administrative detainees of its decision. This came after Israeli Supreme Court's decision to temporarily suspend the detention of the hunger striker Muhammad Allan after his health condition sharply deteriorated due to his hunger strike, which lasted for more than two months. Palestinian hunger striker Mohammad Allan remains out of a coma, but his life is still in serious danger and Israel may reimpose his administrative detention if his health improves, an international rights group said Friday. The 31-year-old lawyer ended his over two month hunger-strike on Thursday after the Israeli High Court suspended his administrative detention due to his poor medical condition. Two days prior, Allan had come out of a four-day coma and an MRI scan revealed extensive brain damage caused by vitamin deficiency that could leave him in critical condition, Amnesty International reported. Allan remains in Israel’s Barzilai Medical Center and is no longer under guard or shackled, and is currently being allowed family visitors, the group added. Amnesty reported that the High Court decision made on Thursday was based on his medical condition alone -- the results of the MRI scan -- and "took no account of the legality of his detention. "The court ruled that if no improvement showed in Allan's neurological damage, the detention order will be revoked entirely. On Wednesday, an Israeli state representative said that if his condition was "irreversible and permanent," and rendered him unable “to resume his activities," the state would lift the detention order immediately, Amnesty said. However, if the ex-detainee improves, his detention could be reimposed according to the court ruling. Allan's administrative detention was initially ordered by Israeli officials who claimed that he constituted a threat to security and was an activist in the Islamic Jihad group, according to prisoners' rights group Addameer.Islamic Jihad -- along with the majority of Palestinian political organizations -- is illegal according to Israeli military law. Before the ruling, Israeli authorities tried several times to reach a deal for his release, offering him release if he agreed to leave the country and at another time offered a release date in November. Allan maintained that he should be released by September, and the Palestinian Prisoner's Society said that when Allan woke up from his four-day coma on Tuesday he "declared in front of his doctors that if there is not any solution to his case within 24 hours he will ask for all treatment to stop and will stop drinking water." Held without trial or charge, alleged evidence against Allan has been withheld from him and his lawyers in a move that Amnesty says denies Allan the "ability to exercise his right to challenge his detention." While Israeli authorities may be concerned with potential unrest caused by the fate of the Palestinian hunger striker, authorities are also reluctant to be seen as giving in to what they view as "blackmail" by detainees. Israeli Public Security Minister Gilad Erdan said in a statement on Wednesday that Allan's release "would constitute a reward for his hunger strike and could encourage mass hunger strikes among security detainees." Palestinians frequently use hunger striking as a method to oppose Israeli policy against detainees. Some 250 administrative detainees currently being held in Israel’s Negev prison reportedly began an open-ended hunger strike on Tuesday to protest their detention. There are currently over 400 Palestinians being held in Israeli jails under administrative detention, according to Addameer. Israeli forces, on Friday morning, stormed Beit Ummar village, to the north of Hebron city, damaging materials and belongings at the home of Riad Sabarneh, after rummaging through its contents. Mohamed Awwad, coordinator of the Popular Committee Against the Wall and Settlements said that soldiers broke the main door of Sabarneh’s home, completely damaged the kitchen and destroyed other materials in the home. Awwad added that the soldiers detained family members in a room and terrorized the children, causing daughter Diana (17) to faint. The soldiers also prevented the ambulance from approaching the home and aiding Diana. Awwad also said that soldiers fired teargas grenades towards the citizens in town, causing a number of injuries and asphyxiations among them. PNN further notes that Israeli forces have casually kidnapped seven young Palestinians from various cities across the West Bank. Forces claimed the youth were taken to investigation, but no more information was reported. A group of twenty-five extreme Jewish zionists from France attacked three international activists in front of the shops near the Ibrahimi Mosque in Hebron, H2 area, this afternoon. When the activists encountered the group of extremists, the extremist started to clap their hands and sing songs while they approached the activists. The activists pulled out their cameras to record what was happening and the extremists responded by threatening the activists in Hebrew, attacking the cameras, pushing and spitting on the activists. One camera was broken by the extremists as they slapped the camera out of the hands and onto the street after which they trapped on it. The military occupation forces did not much to prevent the violence. Instead of holding the extremists accountable for their actions, the army encouraged them to walk away and formed a line to prevent the activists from walking the direction they had intended to and were directed to go another way. A little later the same group of extremists reached the house in which other international activists are living. They tried to climb up onto the stairs leading to the front door of the house and enter the building. They did not succeed and walked in the direction of the illegal Tel Rumeida settlement next to the house of the activists. They returned to the house after another half hour and verbally threatened the activists to come outside the house and fight with the extremists on the street. They chanted about Israel and sang songs in Hebrew. 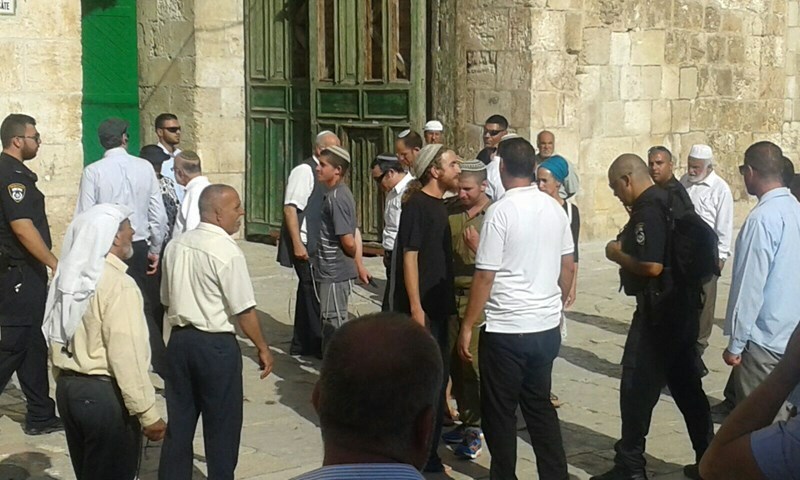 The group of extremist zionists then left the house and returned to the area in front of the Ibrahimi Mosque. There they attacked Palestinians and vandalised one of the shops. The tables in front of the shop were smashed on the ground and ceramic products were thrown into pieces on the street. Subsequently two local Palestinians, while being beaten up by the extremists, were arrested. At least one from the extremist zionists was detained by the Israeli police. The attempt of the extremists to intimidate the international activists at their house was recorded. While marching around H2 area and attacking Palestinians and international activists, the extremists proudly held the infamous yellow flag with a fist from the Kahane political group together with the Israeli national flag. Kahane is a far-right political group which was barred from the Knesset in 1994. Today it is considered to be a terrorist organisation by Israel, Canada, the EU and the United States. The paramilitary wing of Kahane is the ultranationalist Jewish Defense League. In the illegal Tel Rumeida settlement next to the house of the international activists is home to a former member from Kahane and a leading figure of the Jewish Defense League, Baruch Marzel. The Kahane group is officially considered to be a terrorist organisation under Israeli law. However, this did not prevent the soldiers to be friendly with the extremists when the group was intimidating the activists and attempted to enter the house of the activists. Instead, the extremists and soldiers patted each other warmly on the back and exchanged firm handshakes. 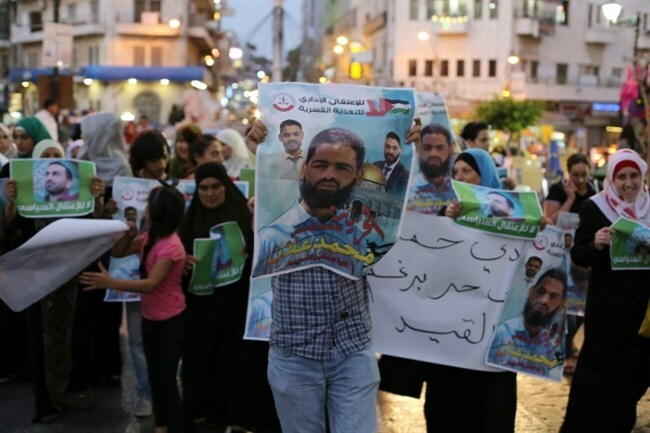 A candlelit vigil was staged by the prisoners popular committee in Jenin on Thursday evening in solidarity with the Palestinian detainee Mohammed Allan, whose health has sharply deteriorated following two months of hunger strike. The rally-goers lifted Allan’s photos and chanted slogans to back him up throughout his fight for freedom. 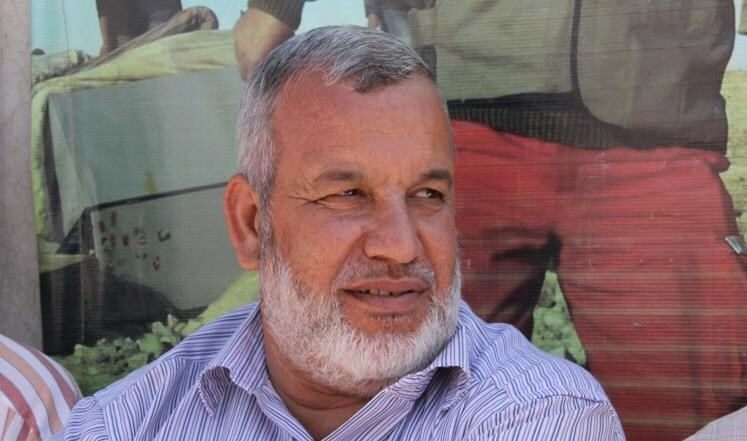 Hamas leader Wasfi Qubha slammed the silence maintained by the international human rights organizations at a time when the Israeli occupation authorities have been breaching all international laws and treaties, most recently by incarcerating Allan without charge or trial. He said Allan has sacrificed his body to restore his freedom and that of the other inmates. It is a shame that our nation and institutions are not rallying round Allan, he added. He said the Israeli occupation medics have kept Allan in a forced coma in an attempt to dampen his spirits and break his iron will. PA Minister for Prisoners Affairs said on Thursday evening that five Palestinian prisoners had declared an open-ended hunger strike. 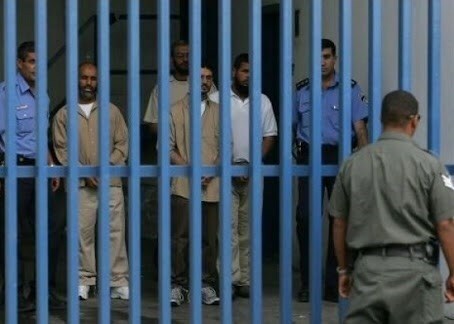 The five prisoners, who are held under administrative detention in the Negev desert prison in the south of occupied Palestine, announced they will launch an open-ended hunger strike to defeat administrative detention policy, the sources explained. Around 6,500 Palestinian prisoners are currently held in Israeli jails, nearly 400 of them are held without charge or trial in total violation of the international law. Earlier Wednesday, the United Nations political affairs chief, Jeffrey Feltman, criticized Israel’s practice of administrative detention and called for all detainees to be promptly charged or released. The Israeli Occupation Forces (IOF) carried out Friday a large-scale raid campaign throughout the West Bank. Seven arrests were reported during the raid. Israeli media sources claimed that seven Palestinians wanted for interrogation were arrested Friday; six of them were allegedly involved in attacks against Israeli soldiers and settlers. 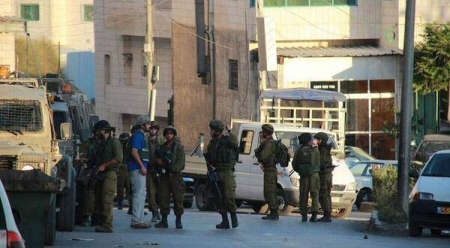 The arrests were mainly carried out in Nablus, Ramallah, al-Khalil, and occupied Jerusalem, the sources added. Along the same line, IOF soldiers, with police dogs, violently stormed a Palestinian home in Beit Ummar town south of al-Khalil under the pretext of looking for weapons, leaving a complete mess behind. The local activist Mohamed Awad said that dozens of Israeli soldiers broke into the home after blowing up its main gate. All the family members were held in one single room, as the soldiers ruined the furniture under the pretext of looking for weapons, he added. No weapons were found in the house, while a number of local residents suffered tear gas inhalation as IOF soldiers fired heavy tear gas bombs to protect their withdrawal. Earlier Thursday, a group of Israeli settlers attacked and brutally beat two Palestinian children in the Old City of al-Khalil. The Israeli occupation authority on Thursday morning released a Palestinian prisoner from the Gaza Strip after 10 years in detention. According to local sources in Gaza, prisoner Wisam Qaddas, 33, was released by Israeli soldiers at Beit Hanoun (Erez) crossing, north of the Strip, where he was warmly received by his relatives and friends. The Israeli occupation forces had kidnapped Qaddas in August 2005 during an incursion into the north of Gaza and later an Israeli court sentenced him to 10 years in jail on security charges. There are about 380 prisoners from Gaza in Israeli jails, most of them are serving long prison terms.